I am definitely shaking my head while writing this review. 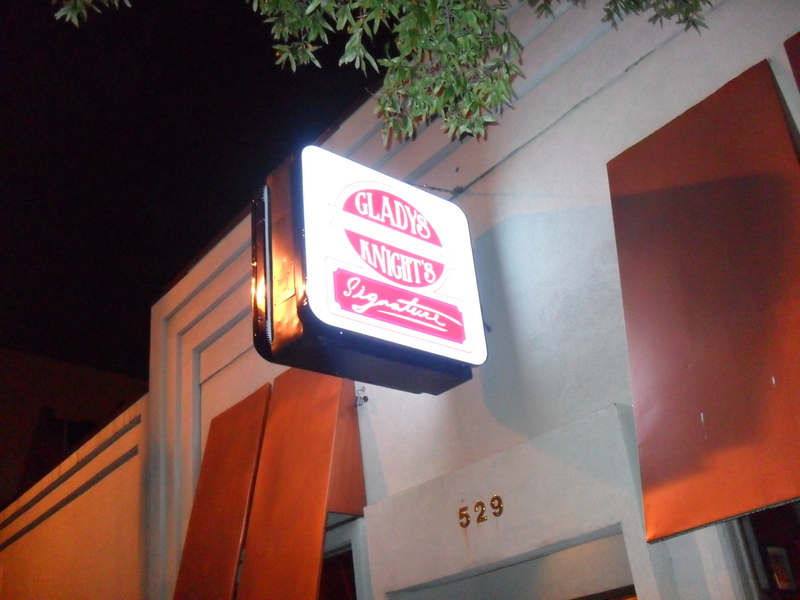 I had high expectations going to this restaurant located in Atalanta. My expectations were met with disappointment. I ordered a chicken breast, waffle, catfish and grits. The chicken and waffle came out cold. Yuck! My butter didn’t even melt on my waffle. I asked the server to nuke my chicken and waffle, and that’s exactly what she did. Everyone knows what warmed-up fried chicken tastes like; it’s gross. She should have said that she’d have the kitchen make a fresh waffle and chicken breast. After re-receiving my chicken and waffle, I didn’t think there was anything special about them at all. Considering this restaurant is supposed to be known for these two items, I was quite disappointed that it had no flair and was just the average chicken and waffle combination. The catfish was pretty good though, but the grits were salty. 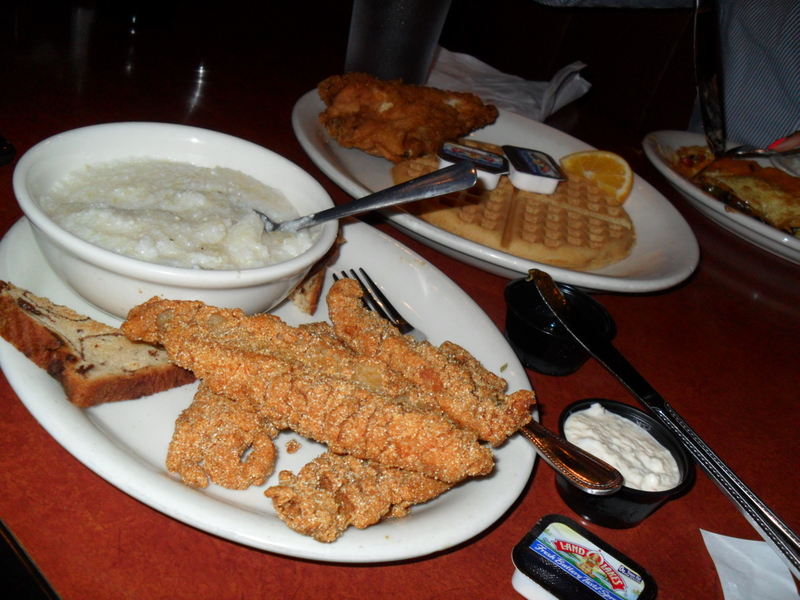 I wish that I had only ordered the catfish and grits because I wasted my money ordering the chicken and waffle. I’ve definitely had better. The server was okay. She was somewhat attentive to our table; she could have checked on us more often. After the food was delivered, she kept away for quite a while. There was nothing spectacular about her service. I was really excited to visit this restaurant, mainly because of the names associated with it. However, that’s all this restaurant stood on, its name. This was later confirmed by a resident of Atlanta, who said that people only go there for the name because the food is not all that good. Now, the menu offered a lot of other options. So, I wouldn’t go as far as to say that I don’t recommend it. I’d give it another shot, but I would definitely order something else. Posted on Thu.Nov.08.2012, in Bon Appetit and tagged ATL, atlanta, Atlanta Georgia, atmosphere, atmospheres, bad experience, bad food, butter, catfish, chicken, Chicken and Waffles, Chicken breast, dining, dining in, dinner, experience, flair, food, fried catfish, fried chicken, fried chiken, GA. food, Georgia, Gladys, Gladys and Ron's Chicken and Waffles, Gladys and Ron's Chicken and Waffles review, Gladys Knight, Gladys Knight and Ron's chicken and waffles, Gladys Knight's and Ron Winan's Chicken and Waffles, good experience, Good/bad restaurants to eat at, grits, high expectations, mediocre, negative, ordered, orders, positive, recommend, recommendations, Restaurant, restaurant review, restaurants, reviews, Ron, Ron Winans Gladys Knight and Ron Winans Chicken and Waffles, s gross, salty, salty grits, Server, service, syrup, terrible, travel, travelling, Travelling to Atlanta, travels, Waffle, Waffles, waitress, warmed-up, Where to eat?. Bookmark the permalink. Leave a comment.